$85 and up depending on package desired. 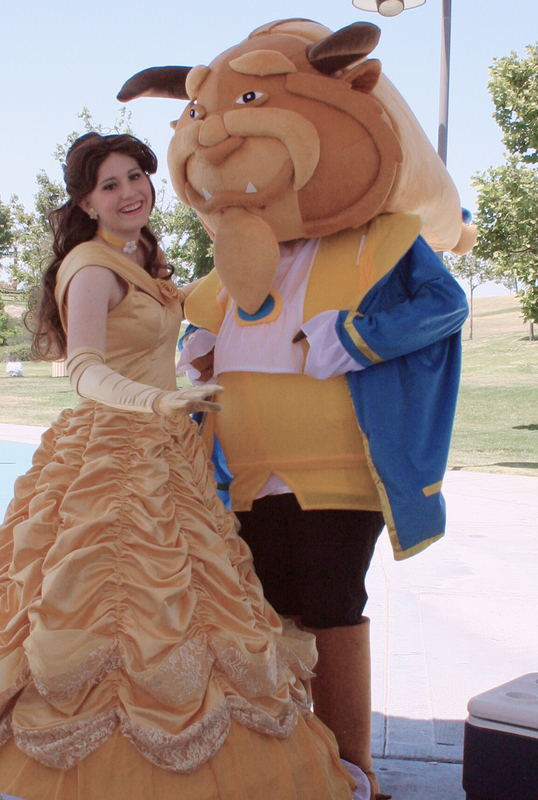 Formerly Pixie Dust Entertainment, Star Brite Entertainment is one of the busiest Lookalike Character companies in So Cal! Authentic & Affordable! We take pride in our work & only have the best performers & artists. 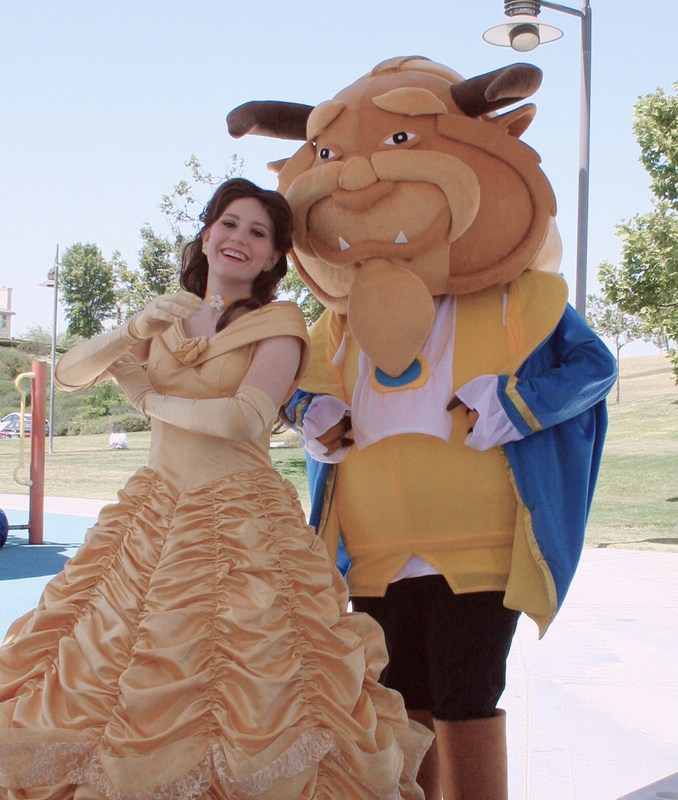 Whether it’s a character, face painter or balloon twister, your performer will be professional & experienced. 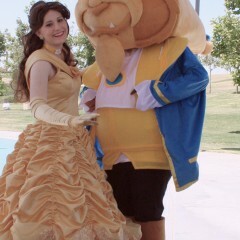 We use only the highest quality costumes & we pride ourselves on having the best lookalike princesses, heroes and characters. We don't cut corners! We offer several packages for every budget and can also customize your party to fit your needs. Let us help you to create magical special memories for you that you and your guests will never forget! Travel fee may apply. Batman was a hit! The real deal! 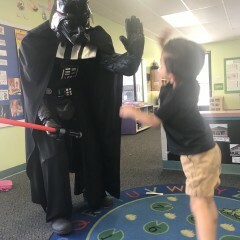 I had hired Batman for a superhero visit on 4/14. What a great company! I found her by an internet search. I've had family and friends have some horrifying experiences with other companies in the past so I was a bit nervous to hire someone without a referral. But, Karla assured me that all the pictures on the site were hers (she sent others to show me). I made the right choice! Not only did the guy look just like Batman, the costume was very real looking. My son thought the real Batman had come to his party! He took photos, talked to the kids (they had a ton of questions for him), stayed to do cake and happy birthday, and was a lot of fun! Karla was a pleasure to do business with. She responded to all of my messages and texts within minutes and even customized the visit. We didn't want any games or activities. Just a short visit. She even arranged for Batman to Facetime my son the day after! I was only a few dollars extra and so worth it! You won't be disappointed if you hire them. They are the real deal! Now I know that when you can't go to Disneyland, you can bring Disneyland home! Pixie Dust Princesses and characters truly exceeded my expectations. 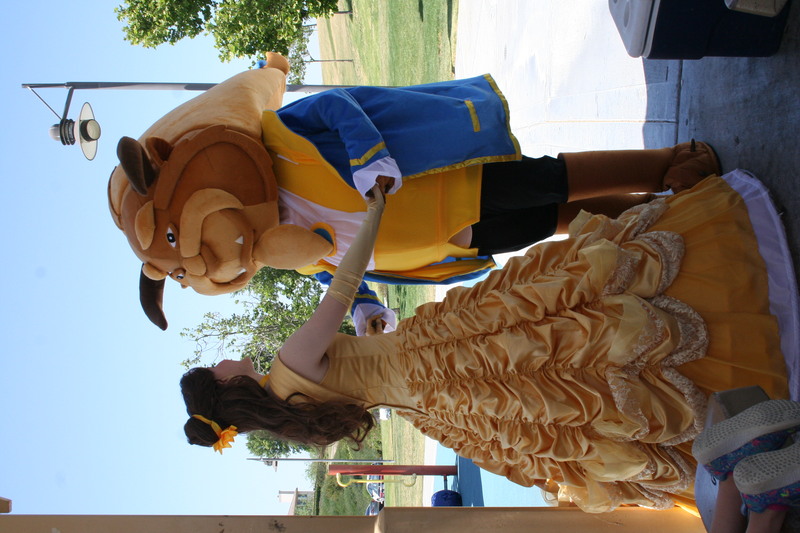 When I hired Princess Belle and the Beast as surprise for a 5 year old birthday party I never expected they would be such exceptional performers and truly professional artists. 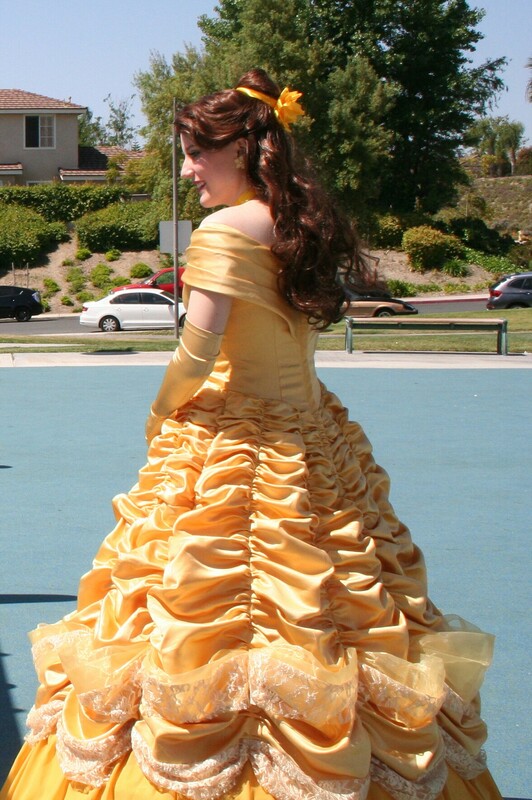 Princess Belle sang with such a beautiful voice that she could've performed in the musical version of Beauty and the Beast. The two characters took over the party from the minute they arrived. They played games, danced, told stories, and sang with the children. Which left us adults the comfort of sitting back and relaxing to enjoy the show. They made this an Absolutely wonderfully magical event. They made our princess feel like a real princess! Memories to last a lifetime. Super affordable also. The best price in town. In fact, I compared princesses from LA, San Diego, and Orange county and Pixie Dust Princesses and characters was the best deal hands down. They are completely professional. Great with children! You will be happily surprised with the quality of performance that you receive. Great company. I recommend them without reservation. Oh my goodness!! Thank you Lupe! :) This is the most wonderful compliment I could ever receive! We throughly enough ourselves, as well! 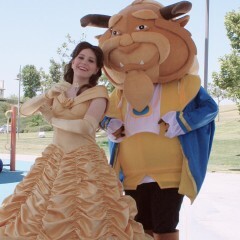 At the car, Belle and Beast both said that they didn't want to leave! :) Thank you for being such a gracious host! Our princess was the best gift ever!!! 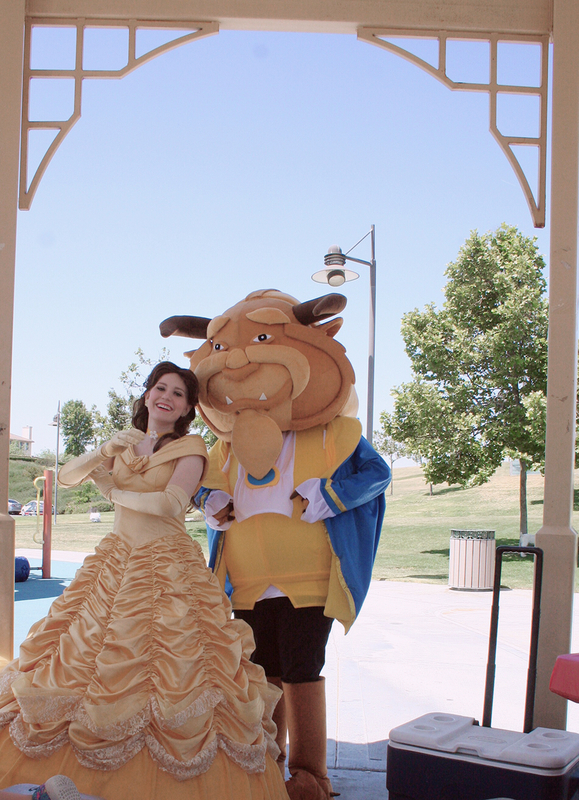 We hired Belle for my daughter's sixth birthday party. 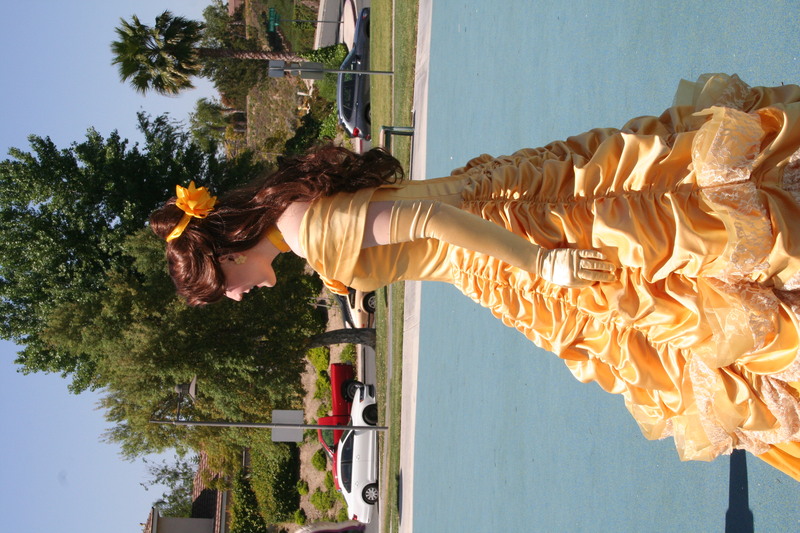 My daughter was so excited to see the real live Belle at our front door! I was really impressed with the quality of the costumes. They didn't miss a detail. There were children aging from 4 to 12 years old at the party, and the performer knew exactly how to tailor the party to all in attendance. She was very patient, kind, and the kids really had fun. I wouldn't hesitate to hire them again. If you are in need of a Santa, Santa Fred is the best ever!! Not only did the kids think he was the real Santa, the adults loved him too. We had a Christmas Party and Santa Fred was the hit of the evening. He spent extra time with each child, gave them gifts, took pictures, answered questions and made sure all the kids were on the “nice list” even the adults. Lol!! The staff at Pixie were wonderful and very professional. I will use them again for my events. Thank you Karla and Santa Fred for making our party so special. We had the Grinch come to our elementary school PTA family Holiday night. He was amazing! He worked the crowd and spent time with each and every family. He was just like the Jim Carey Grinch. He was In character the whole time, even when I paid him in the parking lot. The amazing communication with the owner made my planning simple and stress free. I would highly recommend this company and the Grinch. 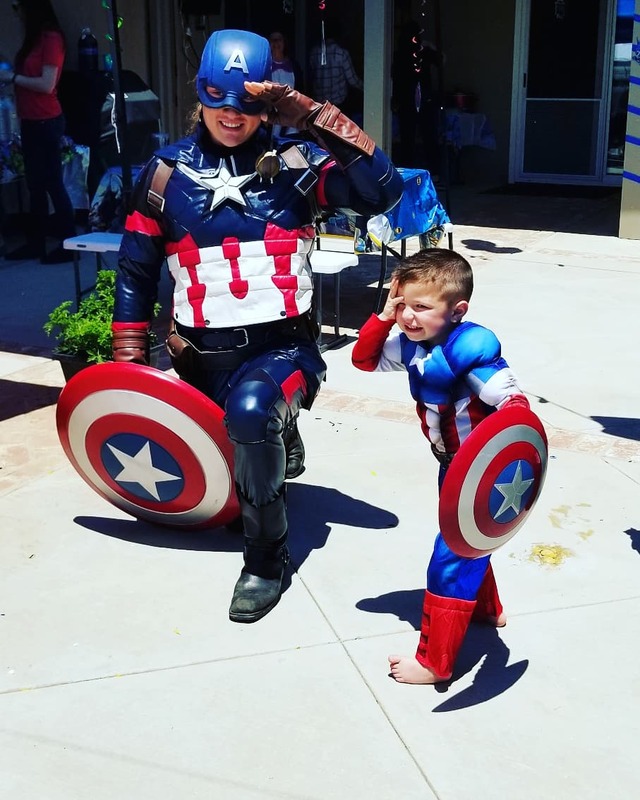 My son was turning 5 and my husband and I were thinking about having a Super Hero/Marvel themed party. I had heard great reviews from my sister about Pixie Dust Entertainment, and so my husband and I decided to have a character birthday party at our house. I would first like to start off with how professional everyone was. I can’t stress that enough. We were so impressed. We had Spider-Man, Venom and Black Widow at the party. I was so worried that I would miss the stunt show between Spider-Man and Venom, but Karla, the owner, reassured me that she would handle taking pictures/video for me, so I could actually enjoy the party. That meant so much to me. 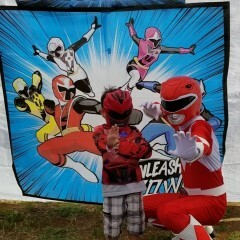 My son and his friends/family had so much fun. Pixie Dust Entertainment provided games for the kids and Spider-Man was there for cake and to take pictures. Again, my husband and I were very impressed with Karla and all the entertainers. They took care of everything. I’ve even had my friends and family tell me they couldn’t believe how awesome the party turned out and wanted to know more about Pixie Dust Entertainment. I would highly recommend this company to anyone. 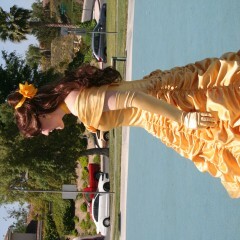 Princesses were on time and very beautiful! Entertained the kids from start to finish! 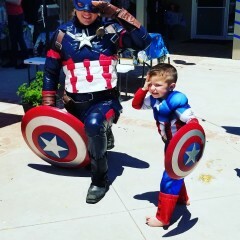 Capt america arrived on time. Interacted with all kids. Trained the birthday boy to be a super hero. It was great ! 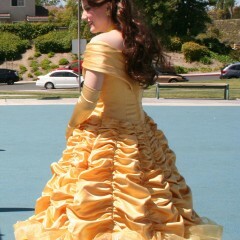 Sleeping Beauty left a beautiful memory on my daughter’s childhood. It was a great party indeed with her presence. My daughter had Minnie Mouse come to her party, and it was great! They showed up right when they said they would, they entertained the kids, everything was exactly how I was told it would be. 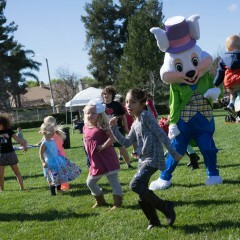 The kids loved it and Minnie was enthusiastic and very into making sure the kids had fun. I would definitely use this company again!! We had Spider Man come for my son's 5th birthday. He was awesome! The kids were so entertained and my son was so excited. Im not quite sure how to go into my review and change the 1 star rating to a 5 star so ive decided to right a new review. Jus to let everyone know that Pixie Dust ent. Does such an amazing job and I recommend that u hire them for your party entertainment. Im ready to book for my sons party in September. The owner is amazingly friendly and professionals shes a pleasure to work with. 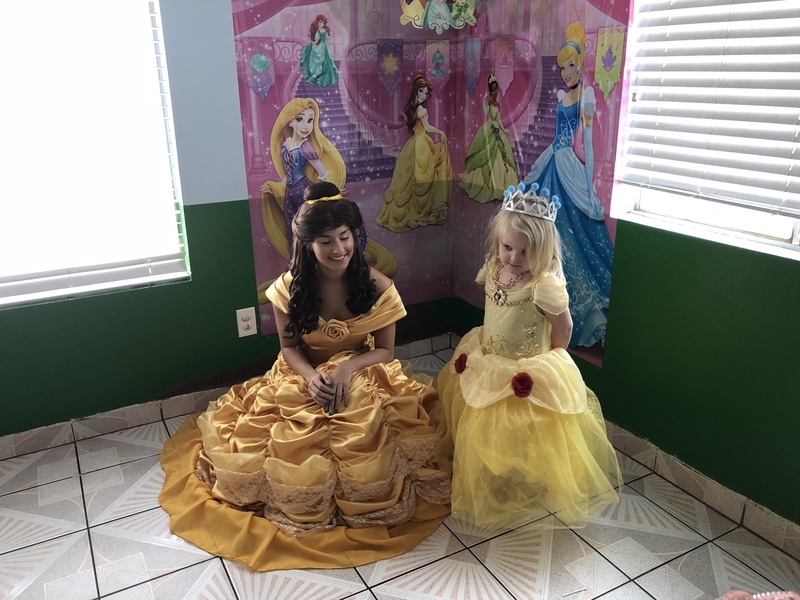 I have nothing but good reviews for Pixie Dust Entertainment, Karla, the owner, is very prompt and professional, I had a very successful 1st birthday party for my baby girl, kids and adults had so much fun. I hired her company for Mickey and Minnie Mouse Mascot, for 2 hours with games and face painting. I also rented her cotton candy and chocolate fountain. Her assistant Georgia, did an excellent job on working with the kids, very knowledgeable and professional. If you like to have a great quality of entertainment, Pixie Dust Entertainment is a one stop shop! Worth every penny and would highly recommend to my friends and family. Early arrival, was incredibly helpful, great with the kids...will definitely book again! 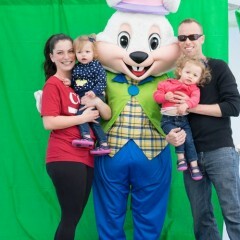 Our Easter Bunny was the BEST! From our first contact until the end of our successful event, every part of the process was perfect! 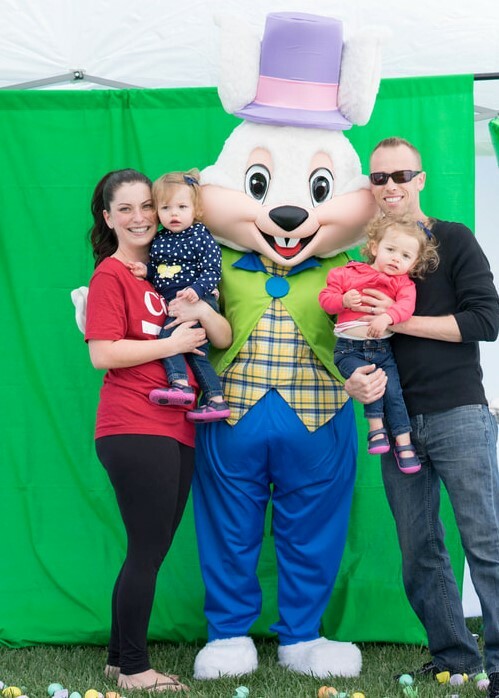 Great communication, quick responses & most importantly the Easter Bunny was on time, hopped right to work & was like an energized bunny! Loved working with this company! 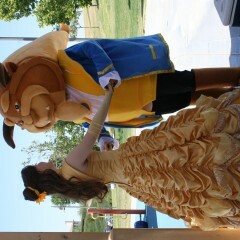 I highly recommend Pixie Dust Princess & Character Parties to meet all of your needs! Moana braved the cold weather and made it a special day for my daughter and her friends. They were very accommodating and went out of their way to provide fun and satisfaction. Moana has a beautiful voice and the girls enjoyed her storytelling. She was amazing. Showed up on time and was great with the kids. The costume was so beautiful. Will definitely recommend and use again. I had never used any type of service like this and was nervous as what to expect. Like, what if the guy was super gross and looked cheap, chubby or was drunk? It’s the internet for crying out loud- Anything is possible. Or what if they act weird and don’t want to do it bc I’m a a lesbian and I’m wanting to hire Batman for my girlfriend and I live all the way in Kentucky. This guy was AMAZING!!!! Karla helped me pull off the best surprise ever by having a HOT Batman deliver a single, red rose to my girlfriend in the middle of her work day on Valentine’s Day. The entire office went nuts. Batman was super serious, wore an amazing real Batman suit and was super hot. Karla even came at no extra fee to get pictures and videos. Batman was awesome and very patient with the kids! Thank you!!! Great time with your superhero. 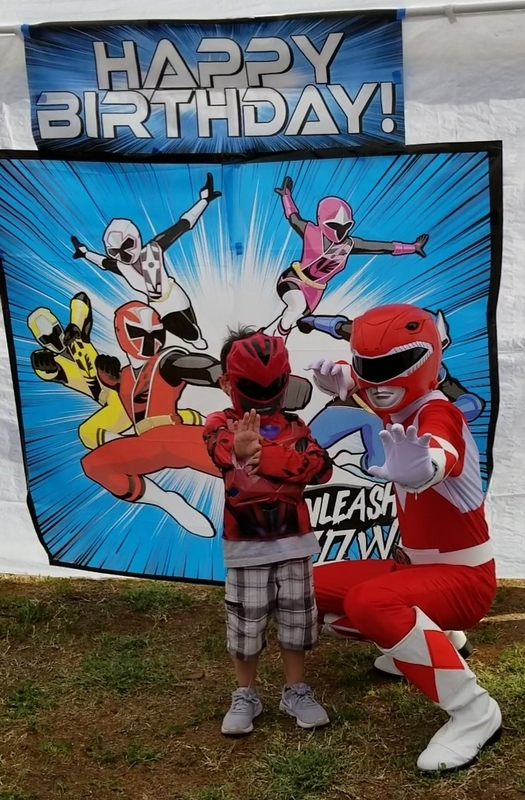 My son had a blast! The kids had a great time!! 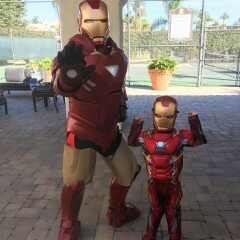 Ironman entered to my son’s favorite song, as I requested, and they had a dance-off!! He was excellent so good with my Grandson his costume was perfect! Thank you for making my Grandson's Christmas a very memorable time! Mickey Mouse was just perfect, the party loved it. He danced and took pictures with everyone. Doing this for the first time i was a bit skeptic on how he would look but he totally blew me away. I will definetley go with this comoany again!! Thank you!! I'm so thrilled that you loved Mickey!! Thank you so very much for choosing us! :) Making clients like you happy is our #1 goal and why we do what we do! :). Best group ever not only did we trick and surprise our company CEO we were able to create a fun memorable experience for an adult who can never be fooled!~!! Thanks to team for your perfect vision and amazing execution!!! 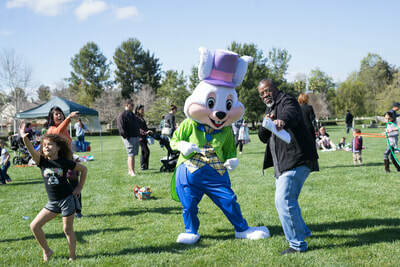 I had a client visiting Palm Springs who wanted to surprise his friend with a singing telegram. I found Pixie Dust Entertainment on line. They said that they mostly did personal appearances and parties but would be willing to put something special together for us. My colleague Steven said it was amazing! He even took a short video. A beautiful mermaid showed up to the restaurant, did a cute little skit, sang a song that they had requested, "The Way You Look Tonight", she sang happy birthday to his friend (it had been personalized just for him! ), and even printed out the song so his friend could have it as a keep sake. The performer also brought a bouquet balloons, and even a special personal gift that wasn't requested. I was amazed! The personal service was appreciated. Not to mention that the singer was gorgeous, sang beautifully and was very classy. I also need to mention, that they did all of this for me with 24 hours notice. I definitely would recommend this company. I have not used them for parties, but if this is how they conduct business and performances last minute, I can only imagine how professional all of their events must be. She arrived early and kept the kids engaged the whole time. Would definately use this company again! This was the BEST Birthday gift I could have given my 4 year old granddaughter.....ever! 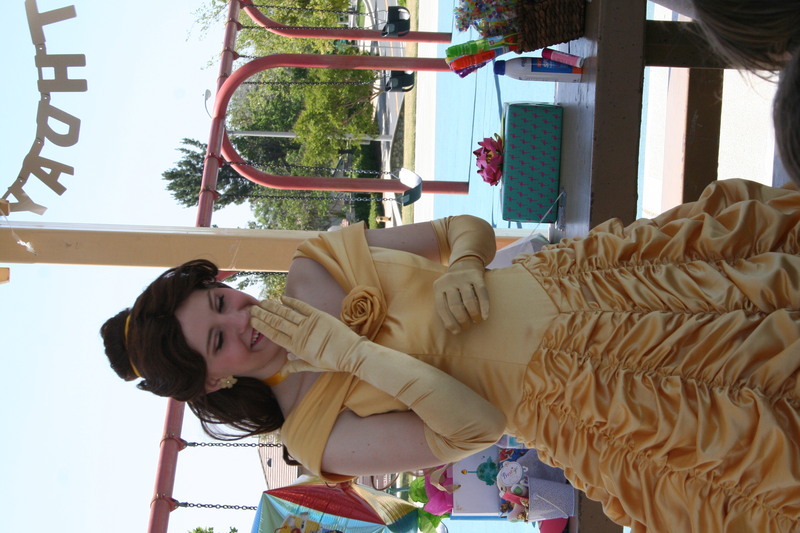 Everyone I dealt with at Pixie Dust was professional and went above and beyond to make her day special. 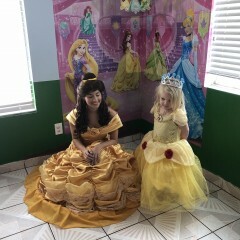 It was a last-minute party request that I honestly did not expect to happen, but they made sure a little 4 year old Princess had the Birthday of her dreams. Thank you, thank you Pixie Dust. I will definitely be requiring your services in the future. She was great!!!! I will definitely use this type of entertainment again! Thank you, Nancy! I'm so happy that Elsa made your daughter's birthday a dream come true! So I had Elsa come to my daughter's 6th birthday party for 30 minutes yesterday and she was amazing! She looked and sounded just like the movie. She was very professional but also really fun and great with my daughter and her friends. They ended up making her sing Let It Go twice while she was there. We had a frozen backdrop taped to our garage and took a family photo in front of it that I'm going to print and hang on the wall. 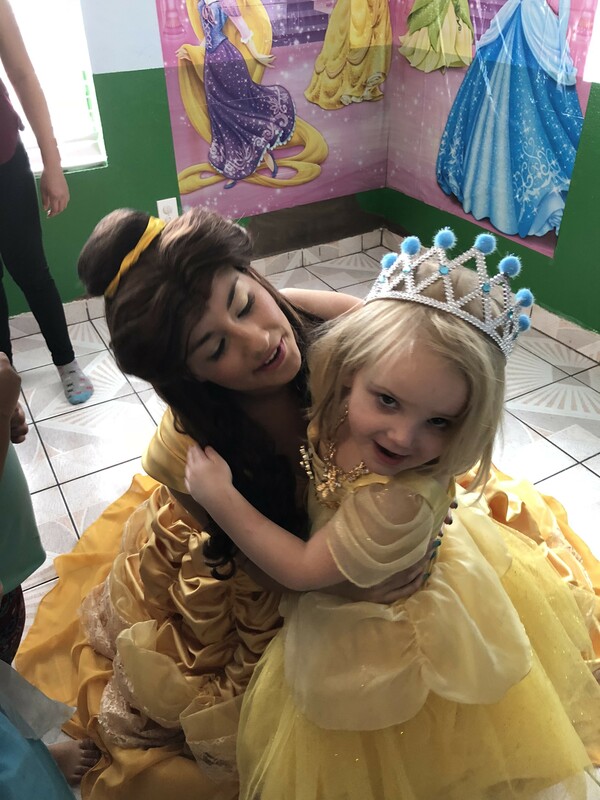 I'm sure this was the best birthday party she's had so far and one she definitely won't forget thanks to Pixie Dust Princess & Character Parties. We will definitely be using them again and I would highly recommend them to anyone who is looking for a character to attend their party. 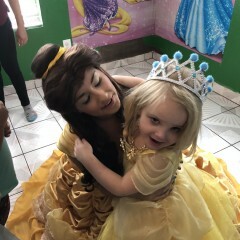 Had a wonderful experience with Pixie Dust Princess & Character Parties! I booked two characters for my son's 3rd birthday (Paw Patrol Chase & Marshall) and the costumes were amazing! 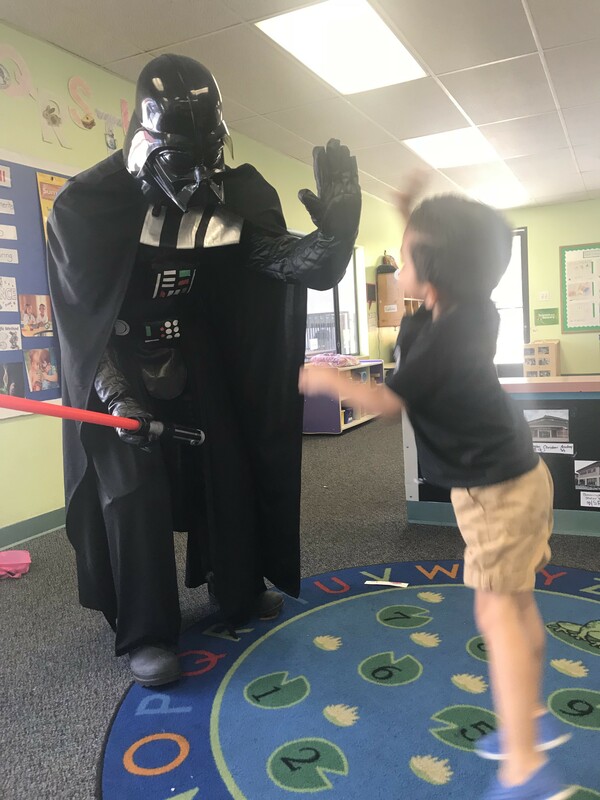 My son and his friends were super excited to have them at the party and they interacted with everyone and made all the children feel special. The team did a great job, would definitely recommend! We had Ariel come to my daughter's 5th birthday. She wore the pink and white dress so she could move around easier. 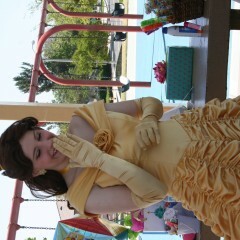 Ariel put make-up on the girls, showed how to act like a princess, told stories, played games, and answered questions. She was very flexible with what she did, even playing Don't Break the Ice. My daughter didn't notice anyone at the party, but Ariel. It was a great day and a dream come true for this Mommy (also a Little Mermaid lover.) I would definitely use this company again!! Price Range: $85 and up depending on package desired. Insurance: $1,000,000 - We carry Commercial General Liabiliry Insurance. 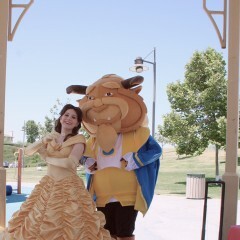 All parties can be customized and we will do our best to accomodate your wishes. 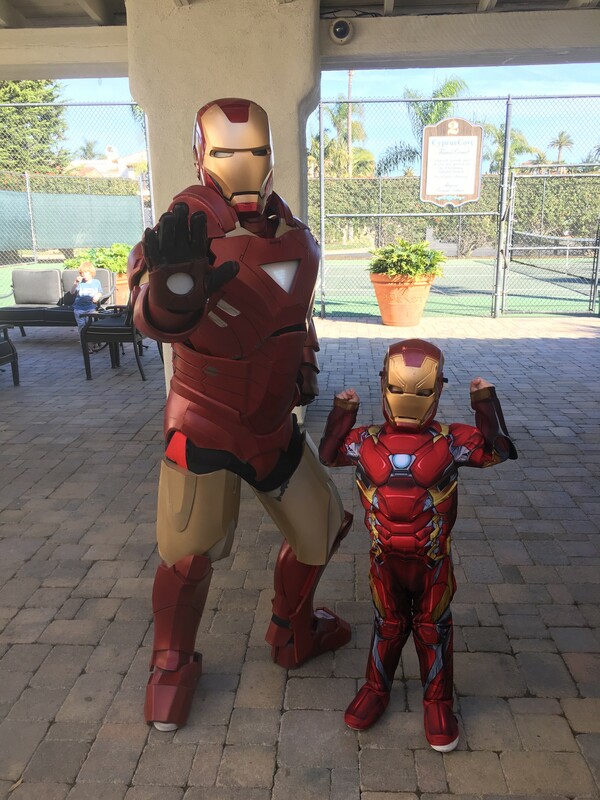 Your party start off with your princess, superhero, character and/or party assistant will arrivie at your door and make a grand entrance. He/She/they will mingle with the birthday child and take initial photos for about 5 minutes (also before she leaves) and make nametags if appropriate. 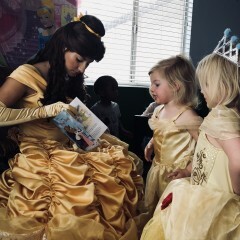 Your chatacter will then talk with the kids about what being a true princess or superhero is all about, teach some "princess ettiquette" or Superhero Training, read a story, sing, etc. (Activities vary by package). If your package includes makeup, face painting, balloons or tattoos, your character or assistant will now take about 15-20 min for the activity (Time varies on amount of guests). After games, music, singing, storytime, etc, your character or assistant will lead the group in a birthday song and cake cutting with parents. Depending on the time of your party, your character will take pictures with your guests and the guest of honor before or after cake, giving a round of hugs before departing. p.s. Don't forget about the camera's, there are so many cute moments you wont want to miss. 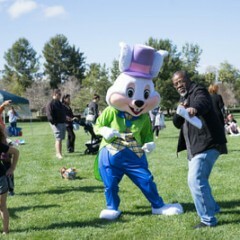 Pixie Dust Entertainment is a family owned company with over 20 years experience in the party & entertainment business. 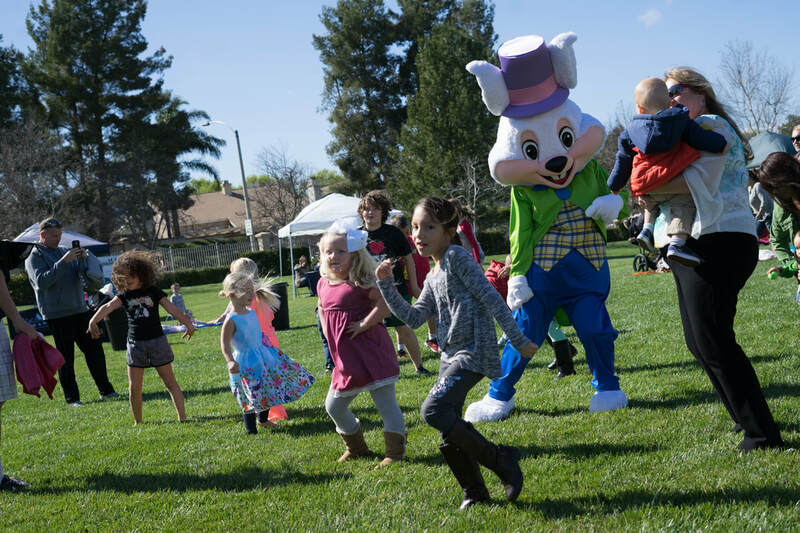 We personally provide the entertainers for your event and take the steps to ensure that each actor is a professional performer, has experience with children & is trained appropriately. You can also be assured that the actors are "age appropiate" for the Princess or Character they are protraying (No 30yr-50yr old Princesses here! You'd be surprised...lol). The owner, Karla is a former elementary school teacher and actress herself. With over 20 years of experience as an actor & singer, she knows talent & only hires the best! Not only is the entertainment top notch, our prices are highly competitive while giving you a memorable experience. It's true that you "get what you pay for", but it doesn't mean that it has to break the bank! We have packages to fit every budget. 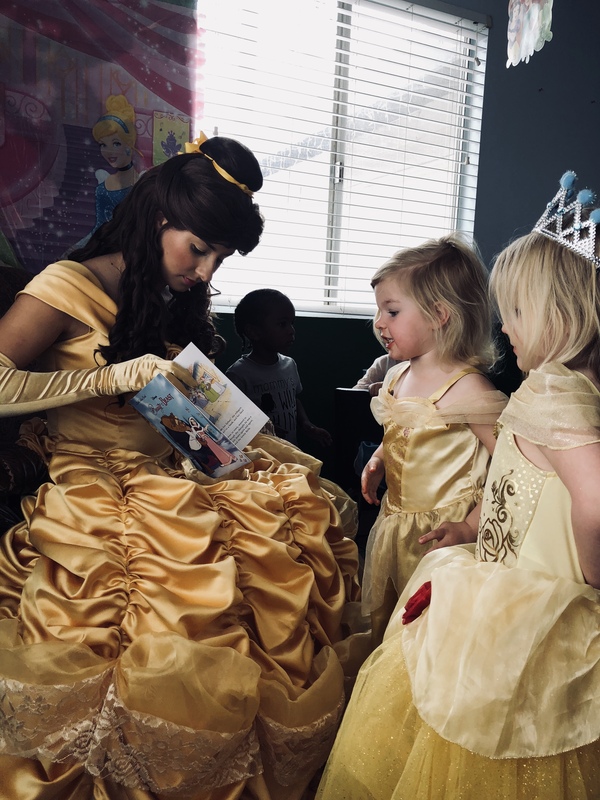 We fit in as many activities as we can in the time alloted, such as games, make up, singing, story time, dancing, Princess Ettiquette, cake cutting, birthday song and more! We will also tailor your event to meet your specific needs of your group. So feel free to ask us what you'd like, and we will do our very best to accomodate. Here are some details that will help make the Princess visit go smoothly. More FAQ are available on our website. We request that you please save a spot for your performer(s) to park in the driveway or in front of the event location, so they will not have to fight to find parking and walk far. It also helps the party start on time as planned. Please have water available for the character to drink throughout your party. Have the children ready for the character's arrival and so they don't miss the Grand Entrance & also so she/he can start activites on time. Please arrange for the eating time to be either before or after the character visit. For instance, if pizza arrives at the same time the character arrives, the two conflict with eachother. We will not be able to stay passed the agreed up time due to other activites interferring. 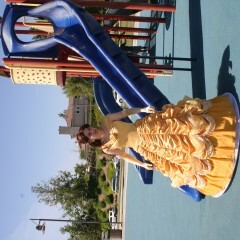 Arrange for an area for you performer/s to conduct their activities, preferable away from loud music or bounce houses. Also, please provide a small table for the performer to place their items, a table and chairs for any face painting or makeup activities if applicable, a chair for Story Telling, and an area for the kids to sit on the ground to play games and enjoy the stories. If the party is outside, please provide a blanket or tarp to sit on. If your planning an outside party, please make sure the area is guarded from heat/sun, or from any wet weather. Have a clean, dry, shaded area for activities, free of dirt, mud, water and any other bad weather conditions that may cause an ill effect to the party activities and the guests. 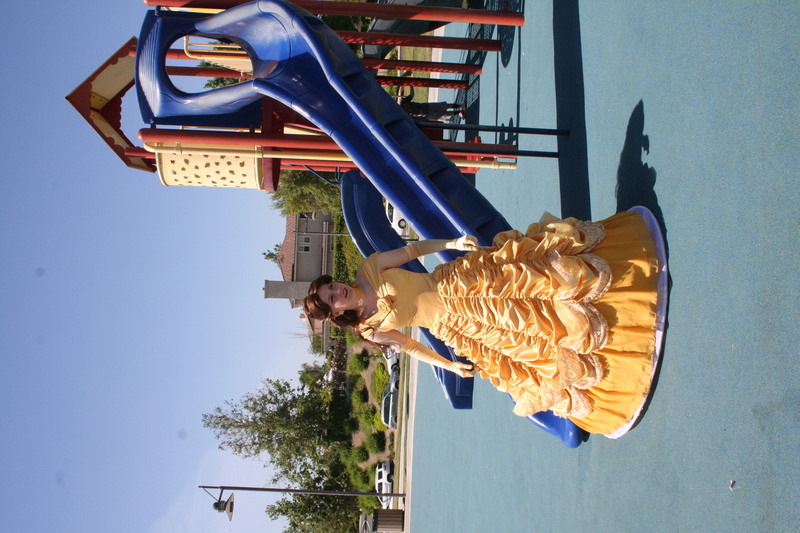 Please be aware that if temperatures exceed 86 degrees, your Princess, Superheo or Character will need to be in a completely shaded area or indoors. If temperatures are too warm for you your performer to performer their duties comfortably and safely, please plan for indoor accommodations. Generally 98 degrees is the limit for face characters and 88 is the limit for mascot characters. Health and Safety is of the utmost importance. And last but not least have your cameras ready throughout the party, you don't want to miss any special moments!